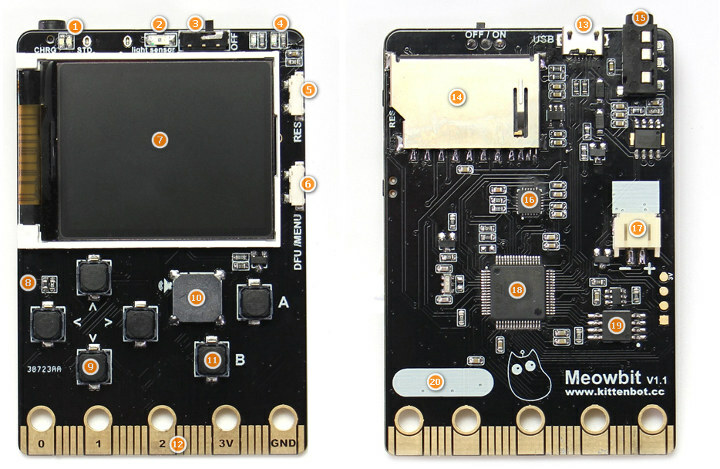 At first glance, Kittenbot Meowbit gaming console looks like a kid’s toy, but it’s bit more than that as its STM32 MCU can be programmed with MakeCode arcade, Scratch3.0 based Kittenblock, or MicroPython, and features the same edge connector as found in BBC Micro:bit board, and as such is compatible with several Micro:bit accessories. 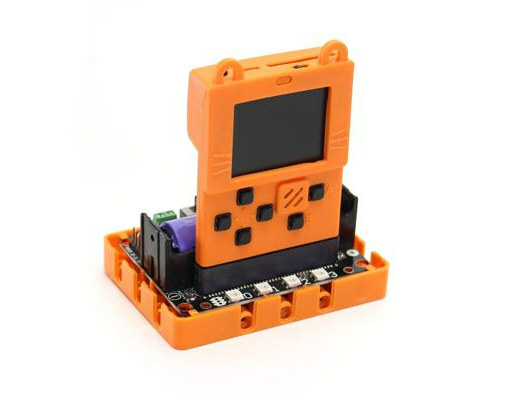 You’ll find download links for the software tools in Kittenbot website, and Meowbit tutorials in Github. Most resources are in Chinese for the latter, but you can go to the “en” to access some basic English documentation. The Meowbit ships with the silicone sleeve shown in the top photo, and can currently be purchased for $34.90 on Seeed Studio. 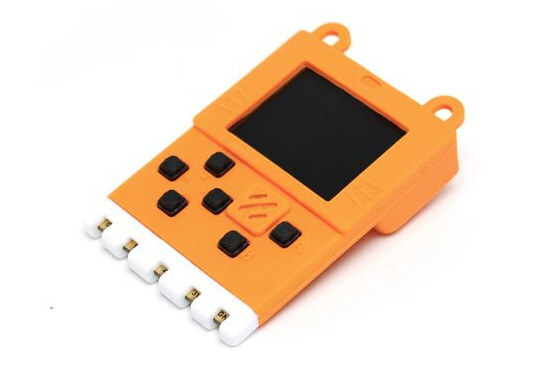 However, the company also recommends the $19.90 RoboBit Robot expansion board for Micro:bit which adds a 18650 battery socket, 4-channel DC motor/2-channel stepper motor control, an 8-channel servo port, four RGB pixels and more.